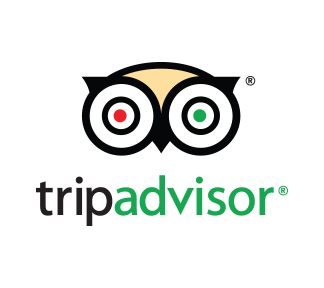 This is a very new holiday park which only opened a couple of years ago and so everything is of the highest quality. 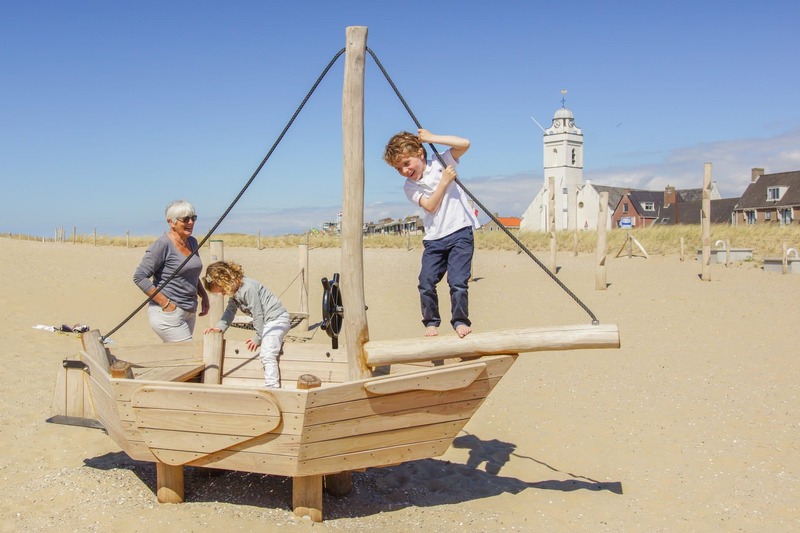 Situated on the Goeree-Flakkee island in the South of Holland this park is surrounded by undulating sand dunes which lead onto a wide and gently sloping beach. This quiet, family beach is just a 10 minute walk from the park. It is perfect for toddlers to run around on, make sandcastles and dig holes! And all that fresh sea air will no doubt mean a good nights sleep for you all! 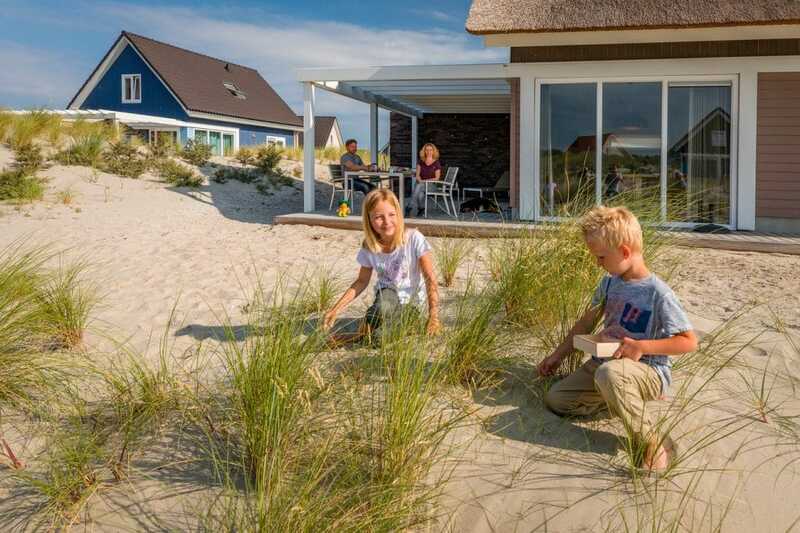 Ouddorp Duin is all about outdoor living and beach life. This region is famous for its fish and there are various restaurants on the park and close by which serve excellent fish dishes. 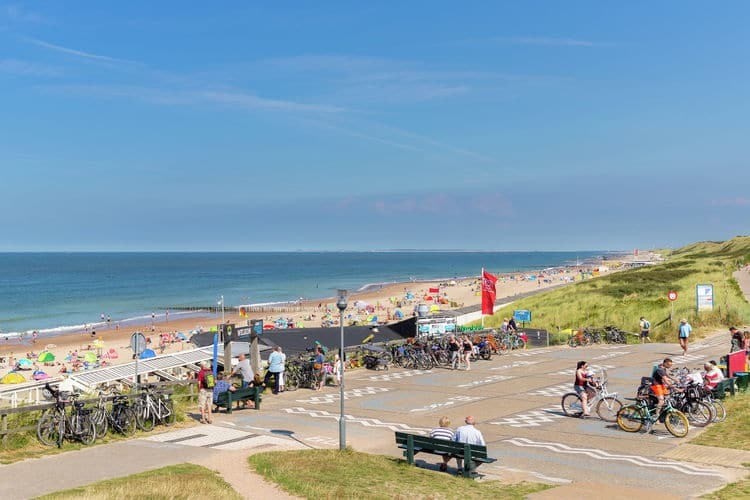 The on park restaurant, Bij Marc has some lovely panoramic views out onto the dunes and you can enjoy a meal and drinks on the wooden beach terrace and then take the children to the adjacent playground. The restaurant and bar area are also very child friendly and they have little children’s steps up to the bar area so they can order their own drink. If you fancy eating back at your accommodation and don’t feel like cooking then the on park takeaway does some fantastic pizzas on their wide ranging take away menu. If you get tired of playing on the beach and paddling in the water you will love the brand new (new in 2017) indoor swimming pool with toddler pool and slide. In case the sun decides to not put his hat on there is also a fantastic beach themed indoor play area with a handy seating area and bar so you can enjoy a drink while keeping an eye on the children! During the main Dutch holidays there is also a fun packed entertainments programme for children of all ages. The on parc shop is very well stocked with all essentials including baby equipment so you certainly don’t need to venture off park. However there is a larger supermarket in Ouddorp, 3km away. This region is really popular for cycling so make the most of this and hire some bikes on the park and take a picnic and go off and explore for the day. You can hire all sorts of different bikes here including children’s bikes, family tandem bikes and bikes fitted with child seats. 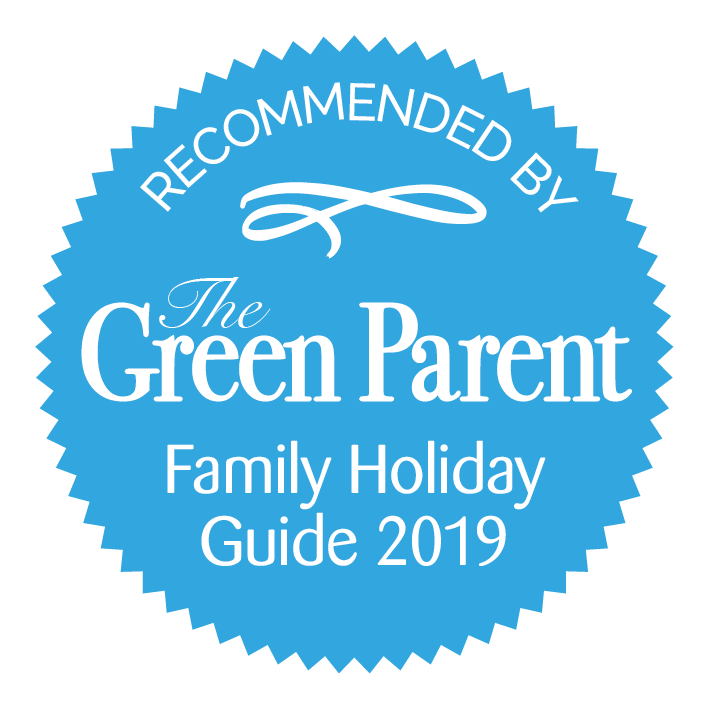 This holiday park has a selection of 2, 3 and 4 bedroom villas. All are as new as the park itself and all are of a very high quality. They are well spaced out among the dunes with some lovely dune views. Most have little dunes between them which means even more privacy (and also a fun play area for your toddlers to climb up and roll down!). All accommodations are very well equipped with a fully equipped kitchen, bathroom and large seating area both inside and out. Some units have TVs and DVD players and all have parking next to the accommodation. Some of the villas are extra luxurious with 2 bathrooms and a sauna! There are also some larger villas available with 5, 6 and even 12 bedrooms if you are travelling with another family or in a group. The park is very new and so are the houses. We chose the ‘extra luxury’ option and that was a good choice. Good private sauna and a well equipped kitchen. Everything was clean and functioning. The facilities on the park premises are very ok. It is placed in beautiful dunes with access to the wide and lovely beach. Houses have enough distance in between. All units come with cots and high chairs, stair gates and electricity plug covers. Children’s themed villas are also available here. They have 3 bedrooms and are set over 2 floors. They are suitable for up to 6 people. 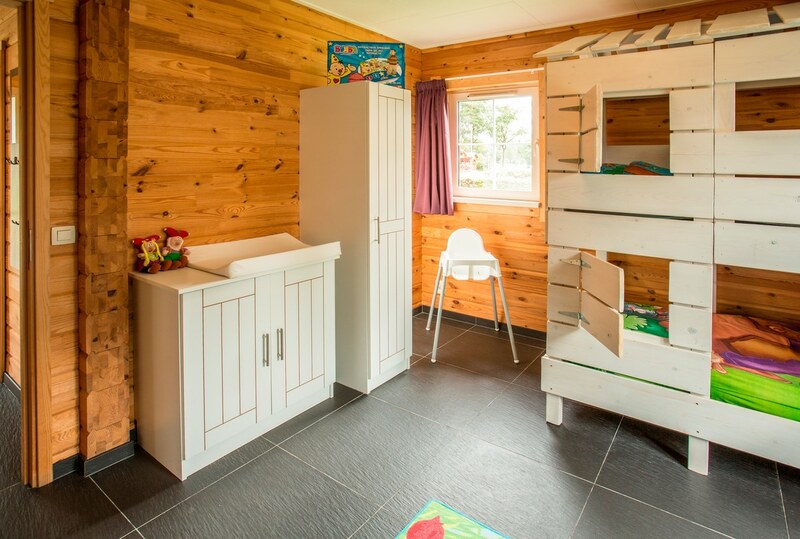 In addition to the cots and high chair they also have a special children’s bedroom, complete with games and a games table, a baby changing dresser, a blackboard and easel, children’s table and chairs, bath toys and toilet training seat and step in the bathroom. These units book up fast! 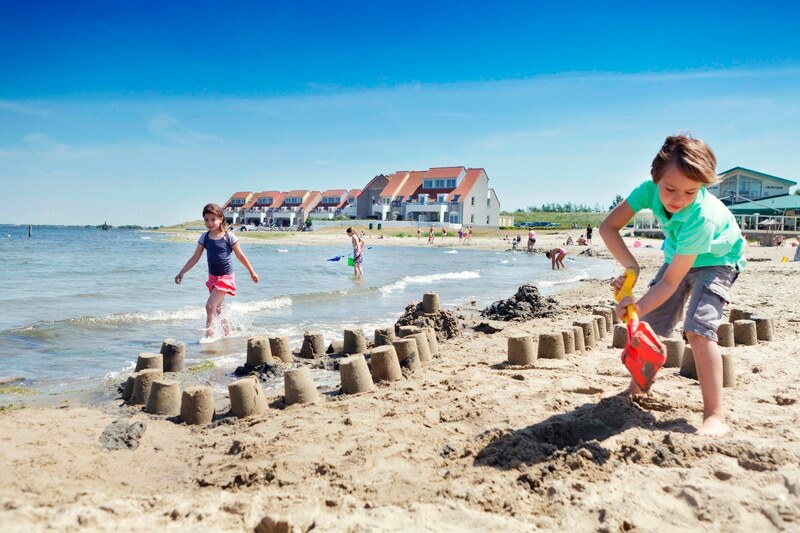 Ouddorp Duin is set within its own peaceful area but it’s only 3km from the picturesque town of Ouddorp where there is a supermarket, shops and various places to eat and drink. The city of Rotterdam is only 45 minutes drive away and a day trip to Belgium is easy with Brussels only 1h30 away by car and Bruges only 2 hours away. 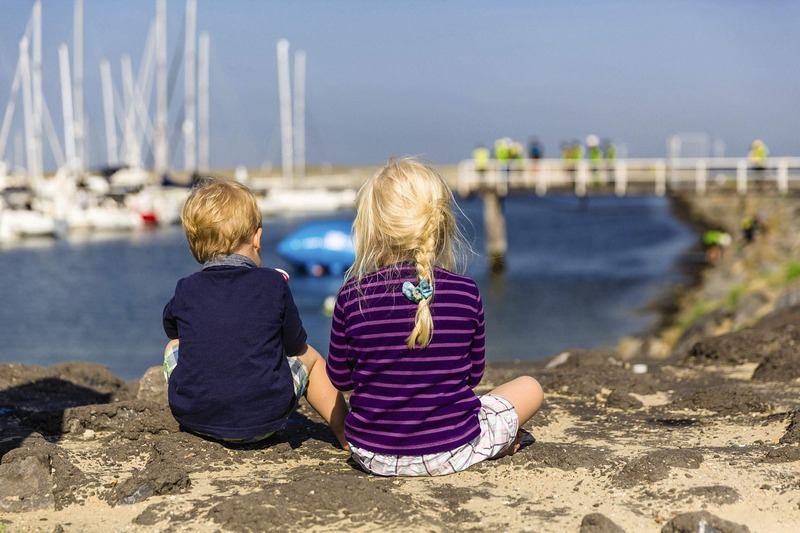 There are lots of things to do on the island including the de Flipjes large outdoor playground in Ouddorp, the Neeltje Jans water park, water playground and aquarium 30km away in Vrouwpolder and the sea sanctuary for poorly baby seals just 14km away in Stellendam. Just over a 1 hour drive from Amsterdam Schipol airport (107km) and just over a 30 minute drive (37km) from the Rotterdam ferry ports.